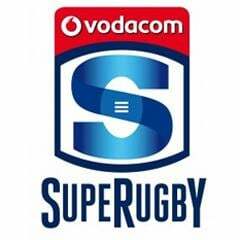 Cape Town - Sport24 highlights 5 talking points after Round 6 action of Super Rugby. In Saturday’s clash between the Bulls and Force at Loftus Versfeld, the Bulls won a late penalty when flyhalf Handre Pollard was tip-tackled by a Force forward. Pollard stepped up to slot the penalty and hand the Bulls a narrow 25-24 win. In the later game at Kings Park, Sharks centre Frans Steyn was rightly sent off for a tip tackle on Chiefs flyhalf Aaron Cruden. Why is it that so often in modern rugby you see players committing these dangerous tip tackles by driving the head of opponents into the ground? Surely they cannot be coached in this way? This writer though is led to believe that wrestling-type training regimes have brought this negative aspect into the modern game. The sooner it gets stopped, the better. Surely it’s not so tough to realise that you’re about to dump a player’s head into the ground if you lift him in a tackle?! The Bulls backline's lack of impetus on attack was again evident in their stuttering 25-24 win over the lowly Western Force at Loftus Versfeld. The players are not running straight, while their distribution leaves much to be desired. Centre JJ Engelbrecht is a big culprit. Apart from knocking the ball on with an open tryline begging, he struggled with his running lines and passing. Nick Mallett rightly noted in his half-time analysis on SuperSport: "We go on and on about JJ Engelbrecht not running straight. There was a three-on-two overlap (in the 10th minute). All he has to do is run at the inside shoulder of the second last defender and pass (instead he ran across-field to negate the overlap). He's a winger playing outside centre... honestly, he frustrates me no end. It (not running straight) is a sickness in our rugby." 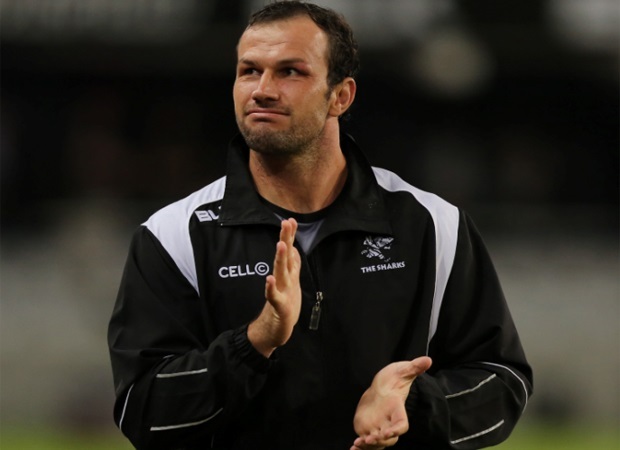 Pieter Rossouw has been the Bulls backline coach for the past six years now, and has done some good work, but a change in strategy and execution is badly needed. 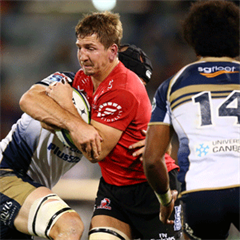 The Lions captain was again a shining light in his team's comeback win over the Melbourne Rebels last Friday. Trailing 13-0 at one stage, the Lions dug deep to earn a 20-16 victory. Whiteley not only leads by example in his play, but appears to be a great leader. He conducts himself well on the park and speaks with aplomb in post-match interviews - characteristic of a future Springbok captain. Whiteley currently leads the competition's stats for most tackles made - a mammoth 94 from six matches!